Get ready for the long-awaited new Raconteurs album this spring featuring Epi Casino fan Brendan Benson. 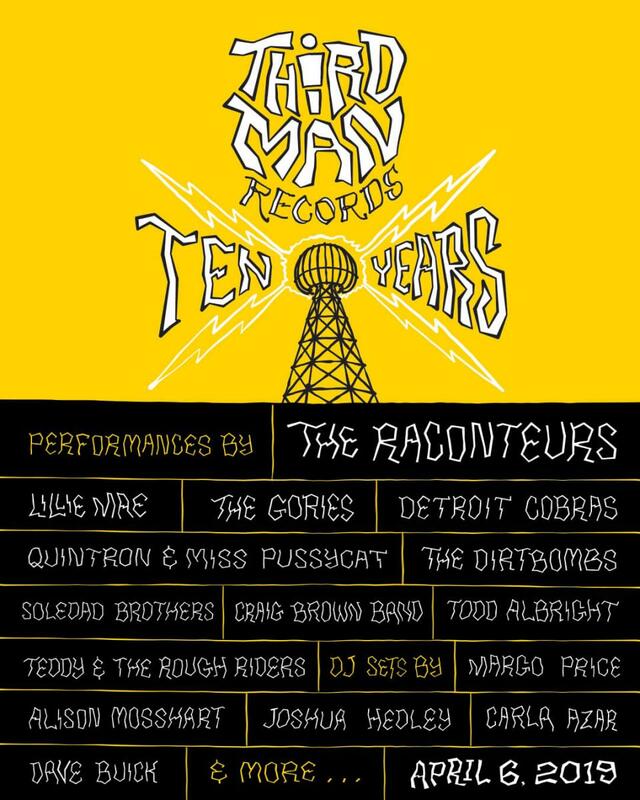 The quartet will debut the LP live at Third Man Records’ 10th anniversary party in Nashville on April 6 which will also feature Masterbilt Century fans Lillie Mae and Margo Price (who received her first GRAMMY nomination as Best New Artist) plus the Detroit Cobras, and the Dirtbombs. Read our classic interview with Mr. Benson and keep an eye out for more good news from Third Man and Epiphone. "(The Casino) is my favorite guitar," Benson told Epiphone. "It's a '65, all original. I was making my first record with Ethan Johns engineering and I think he had one and brought one to the studio. And I fell in love with his so I found that one. And mine's actually a lot cooler than his (laughs). I've played my Casino forever. That was my main guitar. Now, I'm really glad to have a new one so I can retire my vintage Casino. And the re-issue sounds great and plays great and I just love it."